9x12, xxiv + 110 pp. The harpsichord music of this expatriate resident of London appears here for the first time in a modern edition, revealing Draghi to be a composer of intensity and originality who made use of the models and prevailing style of his adopted country. Draghi was known in his day as an outstanding keyboard performer, and his existing output for harpsichord is considerably greater than that of his contemporaries Blow and Purcell. The idiomatic use of texture and a fine sensitivity to harpsichord sonority distinguish these pieces as estimable examples of Restoration keyboard music. 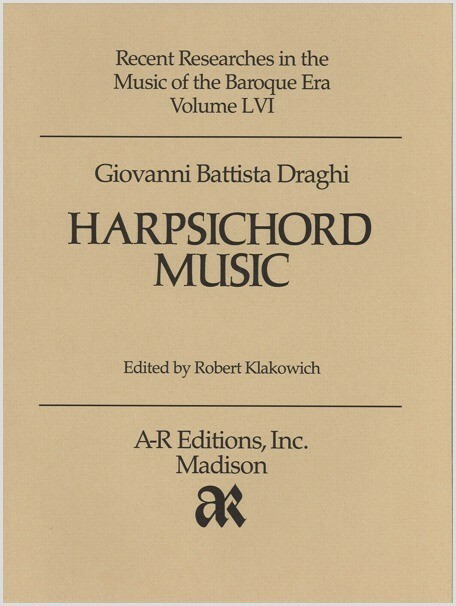 This edition contains eighty-five solo keyboard works by Giovanni Battista Draghi.